Ashampoo Burning Studio 2016 normally cost $59.99 for purchase per single license. Ashampoo Burning Studio 2016 is the latest version that been given away for free. Visit the Ashampoo Burning Studio 2016 promo page to download the installer. Once downloaded, install the Ashampoo Burning Studio 2016 setup installer. Now simply visit the register web page to register for free full license. Alternatively, user can also launch Ashampoo Burning Studio 2016, and press “Get free activation key” button to open the registration page. Enter a valid email address and click on “Request full version key” button. Note: New user will need to create a MyAshampoo account will be created. A registration page will be shown where some details have to be filled. Continue by clicking OK, send button. Registered users already with MyAshampoo account are required to login. Ashampoo’s service letters will be automatically subscribed to, although you can opt-out through MyAshampoo account. An email will be sent with an activation or confirmation link. Click on the link, which will bring you directly to MyAshampoo account page. Click on “Free Licenses” and you will be shown the registration code for Ashampoo Burning Studio 2016. Another email will also be sent with Ashampoo Burning Studio 2016 license key. Launch Ashampoo Burning Studio 2016, and select Enter key to unlock and activate the Ashampoo Burning Studio 2016 with the license serial key received for full version product. 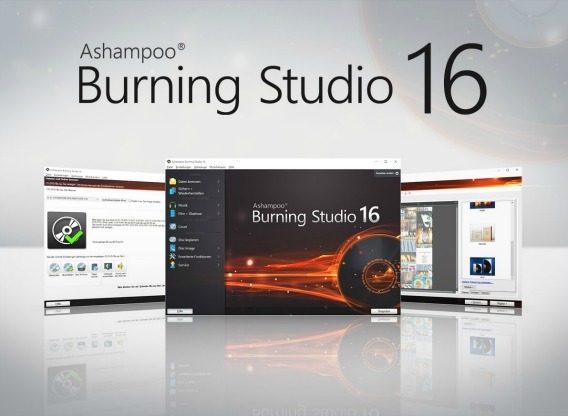 Ashampoo Burning Studio 2016 supports Windows XP, Windows Vista, Windows 7, Windows 8, 8.1, and Windows 10.